A delegation of audiovisual authors and their collective management organisations (CMOs) from across Europe met Members of the European Parliament in Strasbourg to discuss copyright package ahead of the announcement of the winner of the European Parliament’s LUX Film Prize. With the European Parliament about to start discussing the European Commission’s copyright package proposals, SAA and FERA brought screenwriters and directors from across Europe. 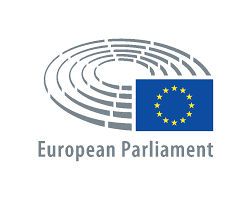 During their meetings with MEPs, they encouraged them to change the rules to achieve two main objectives: ensure that authors are fairly remunerated when their works are seen; better support the circulation and promotion of European audiovisual works. The delegation also met the teams of the three LUX Film Prize finalists (My life as a Courgette by Claude Barras, Toni Erdmann by Maren Ade and As I open my eyes by Leyla Bouzid) present in Strasbourg for the awarding of the 2016 LUX Film Prize on 23 November. The European Parliament’s cinema prize provides distribution support through subtitling in the 24 official European languages, an essential element of a films’ circulation across Europe. – to develop, promote and facilitate the management of rights by member societies.